Transit Visa means a visa which allows you to pass through a country and is applicable for those who have a short stay of more than 12 hours and less than 72 hours in Saudi Arabia, Most of the people intend to perform Umrah with short stay for more than 12 hours through Jeddah Airport as it is near to Makkah. For such travelers, Immigrants will not allow to leave airport without valid Saudi Transit Visa. 1. Go through this link "Enjaz", Then you can click on "INDIVIDUALS", then select "VISA SERVICES" after that you have to choose "Application for Visa from Saudi Missions abroad". 4. 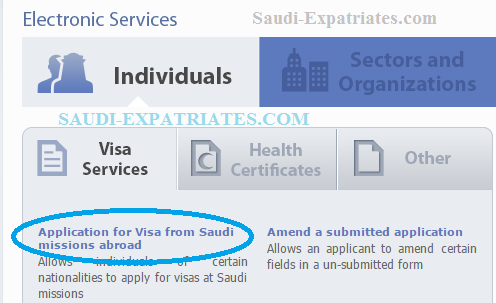 In Visa Information section, Choose Visa type as "TRANSIT" and enter all the required details, You can also add any companions, If you have, at last after entering image code click on "SAVE". 1. If you tell the reason, you want to go to Umrah, So why you applied transit visa. Do not even think of Overstay, Overstay for Transit Visa holders will cost more than 750$ per day.